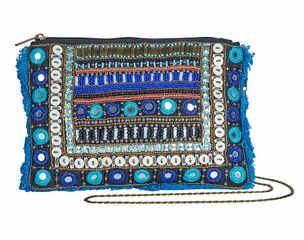 Different shades of blue that when mixed together flow cohesively throughout the entire bag. 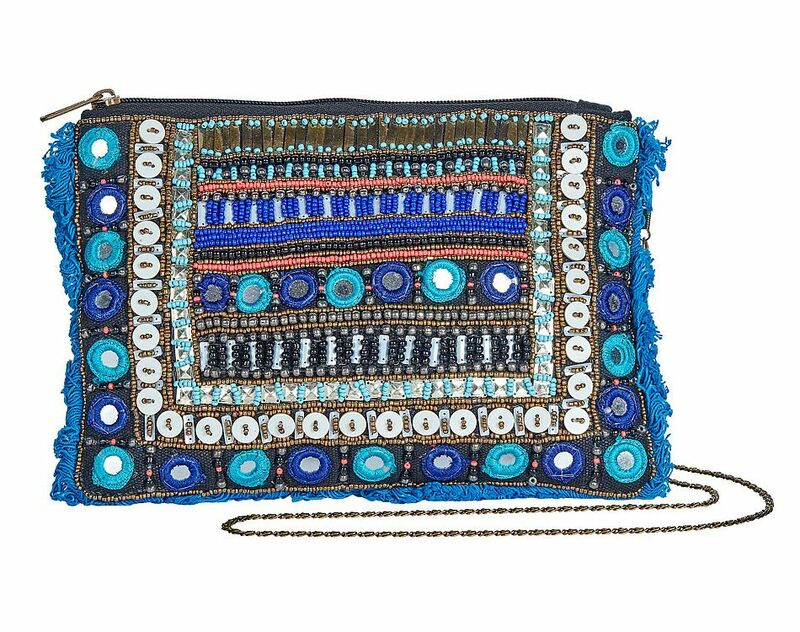 Lined with deep blue fringe and gold detailing. Every piece is carefully handcrafted by skilled female artisans in India. The clutch includes some recycled materials within the bag for long wear and sustainability.